This week The Decorettes are going to help you start conquering business overwhelm! Jess and Steph will be reviewing the two steps they always take when they are feeling overwhelmed in their business. Get these two things taken care of and you'll free up so much time for all the other business tasks on your to-do list! Why Branding isn’t just important to get clients but to keep them and get referrals. How your brand can help you control and create a unique client experience. Why the experience you provide is just as important (if not more important) than the spaces you create for your clients. How your brand can help you create and communicate boundaries in your business. How to use branding to create business processes and systems. Yay!! Yay!! Yay!! 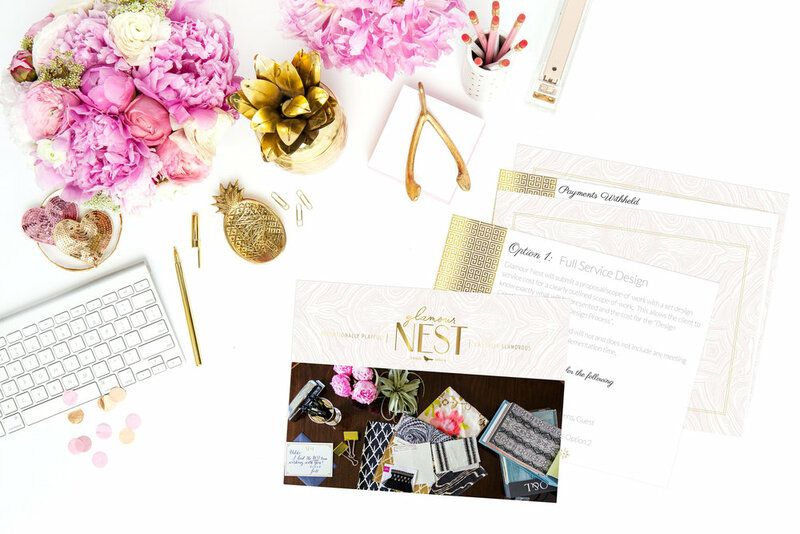 You'll soon receive an email welcoming you to the Ms. Glamour Nest family. Ready to immediately up-level your business systems? Well Jess' bundle of swipe files is just what you need to get your interior design business running smoothly from the get go! From her welcome packet and contract, to proposals, email templates, and so much more, let Jess' systems help you get streamlined fast! Get Your Systems Bundle & Take back Your Time! 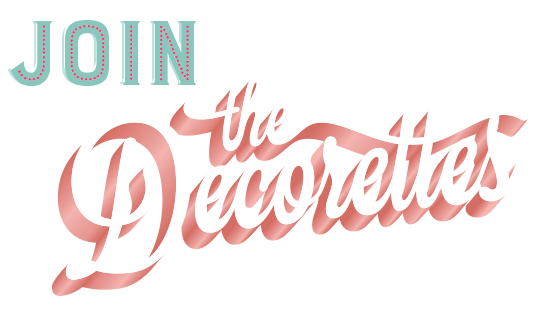 Become a Decorette! Shimmy on over to the Facebook Group and join the snazziest shindig around! Visit Ms. Paper Moon and boldy go where no brand has gone before!